A sharper design, boosted efficiency and an extensive set of standard features: Those are the key characteristics of the new Porsche Cayenne(1). As a sports car among sport utility vehicles (SUVs), besides offering five seats and extensive high-end features, it primarily offers a lot of room for a lot of driving fun. With high performance and typical Porsche design DNA. 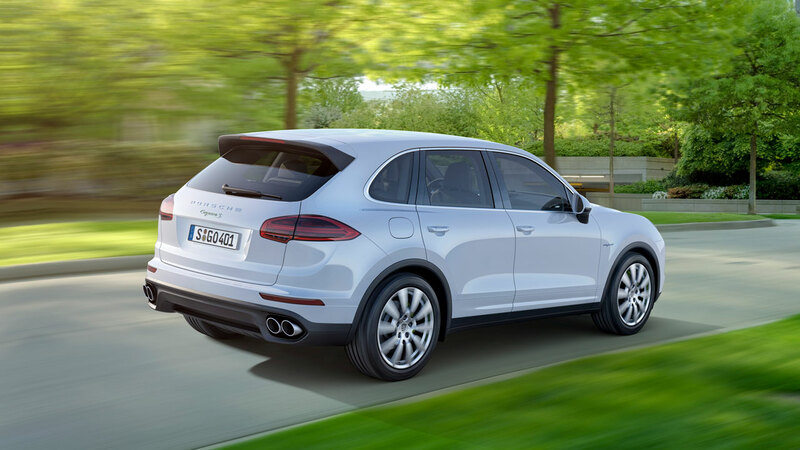 The new generation of the Cayenne will be available in Mexico in four versions: Cayenne S, Cayenne Turbo, Cayenne Diesel, and – in a world premiere – the Cayenne S E-Hybrid(2), which is the first plug-in hybrid in the premium SUV segment. This model, together with the Panamera S E-Hybrid and the 918 Spyder, make Porsche the world's only carmaker to offer three plug-in hybrid models. All Cayenne engine versions show improved performance figures as well as better fuel economy than comparable previous versions. 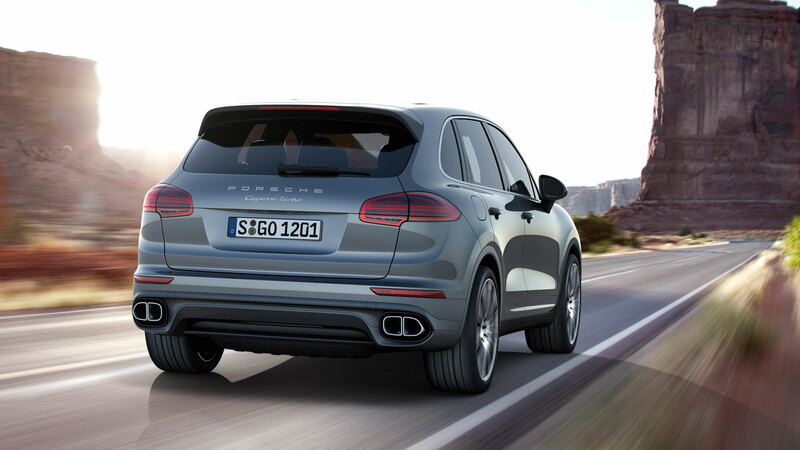 A new engine is the 3.6-litre V6 biturbo of the Cayenne S that was fully developed by Porsche. At first glance, the new Cayenne can be clearly made out as a Porsche by its bi-xenon headlights, which are standard in the base and S models, with "hovering" four-point LED daytime running lights that are typical of Porsche. 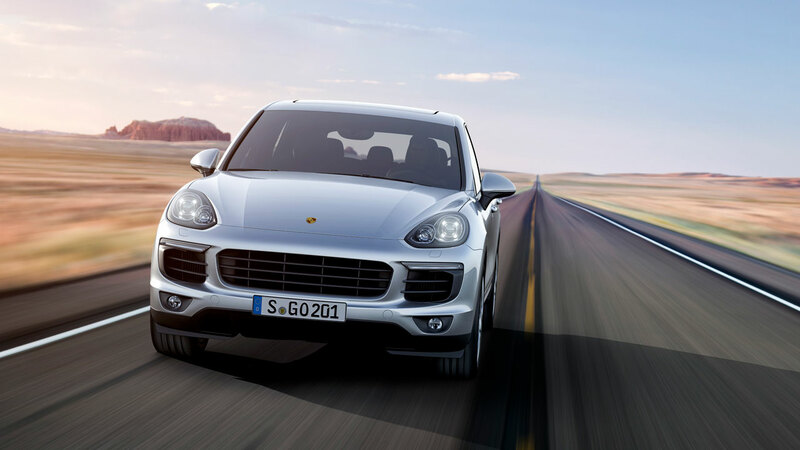 The high performance standard of the top model, the Cayenne Turbo, is emphasized by standard LED headlights with the Porsche Dynamic Light System (PDLS). Power and torque were boosted while improving fuel economy: for Porsche these are not incompatible or contradictory goals; they were enabled by numerous individual modifications to the entire drivetrain. 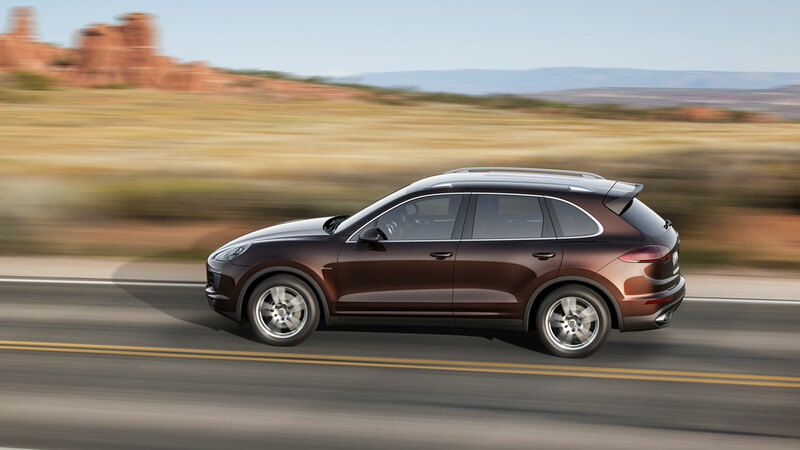 For instance, all new Cayenne models consume significantly less fuel, because of a coasting function, the further advanced "auto stop-start function plus" and optimized thermal management. Active cooling air flaps are now being used for the first time in the Cayenne models. They are located behind the middle air inlet and are controlled by engine management. They are opened or closed according to the specific driving situation and cooling needs; this way they adjust the air volume that is available for cooling. When they are closed they improve aerodynamics, which reduces air drag and thereby improves fuel economy. 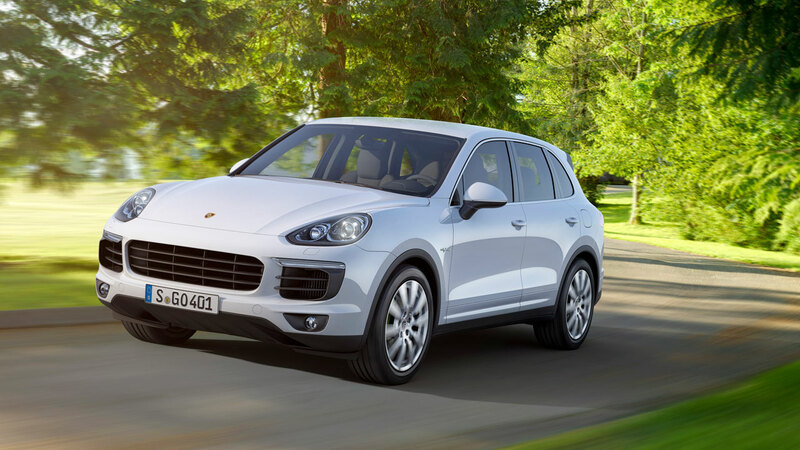 The Cayenne S E-Hybrid is the first plug-in hybrid in the premium SUV segment. 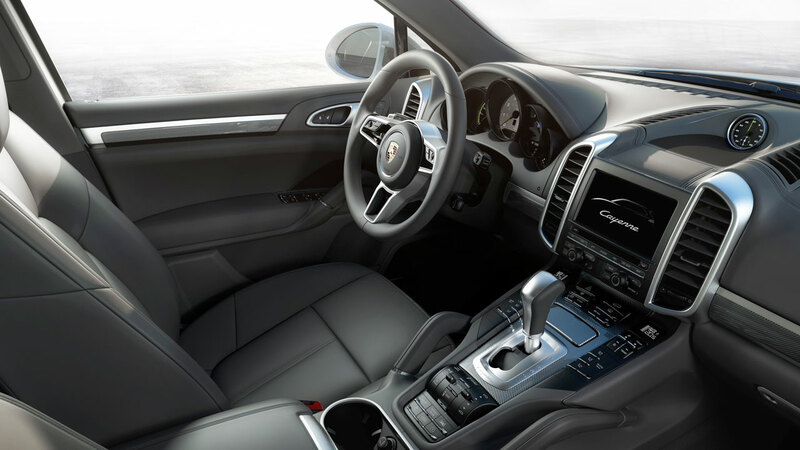 The technical progress made here is immense compared to the previous Cayenne S Hybrid. The new model has a lithium-ion traction battery with an energy capacity of 10.9 kWh, which enables an all-electric driving range of 18 to 36 kilometers, depending on the style of driving and route topography. The power of the electric engine was more than doubled: from 47 hp (34 kW) to 95 hp (70 kW). The combined fuel consumption is now 29.4 km/l for CO2 emissions of 79 g/km. The three-liter V6 supercharged engine (333 hp / 245 kW) and the electric motor (95 hp / 70 kW) produce a combined system power of 416 hp (306 kW) at 5,500 rpm and a total system torque of 590 Newton meters from 1,250 to 4,000 rpm. This enables driving performance on the level of a sports car: zero to 100 km/h in 5.9 seconds and a top speed of 243 km/h. The top speed in all-electric driving is 125 km/h. The traction battery can be charged from the electric power grid or while driving. The hybrid tradition at Porsche extends back to the year 1899 and to the Lohner Porsche – the world's first vehicle to have a battery-powered electric drive as well as a combustion engine, which was designed and built by Ferdinand Porsche. In the current model line-up, the Panamera S E-Hybrid is setting standards worldwide as the first plug-in vehicle of the premium class. 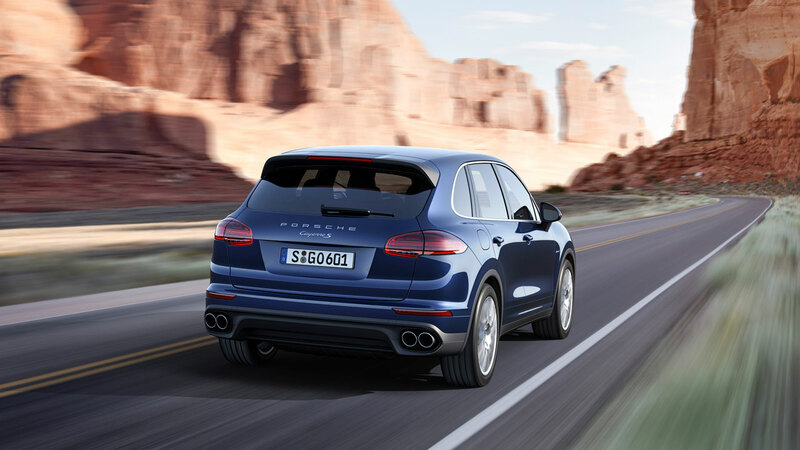 The Cayenne S E-Hybrid is now transferring this forward-looking technology to the premium SUV segment. Extraordinarily powerful hybrid technology has also already been implemented in a sports car, in a super sports car no less – the 918 Spyder. This car serves as an example of technology transfer from motorsport to production cars: the most advanced form of hybrid drive technology is currently implemented in the 919 Hybrid, and it is also being studied for production vehicles. The new 3.6-litre V6 biturbo engine of the Cayenne S, which was developed entirely at Porsche, is another example of how downsizing with reduced engine displacement and fewer cylinders does not compromise core values: the engine's NEDC fuel consumption is between 10.5 and 10.2 km/l with CO2 emissions between 223-229 g/km, which is 1.1 km/l more than with the previous V8 engine. The biturbo V6 develops a maximum power of 420 hp (309 kW) at 6,000 rpm – a gain of 20 hp/15 kW. The car's torque of 550 Newton meters is available from 1,350 to 4,500 rpm (gain of 50 Newton meters). The previous power density of 83 hp (61 kW) per liter engine displacement was increased to 117 hp (86 kW) (gain of around 40 percent). 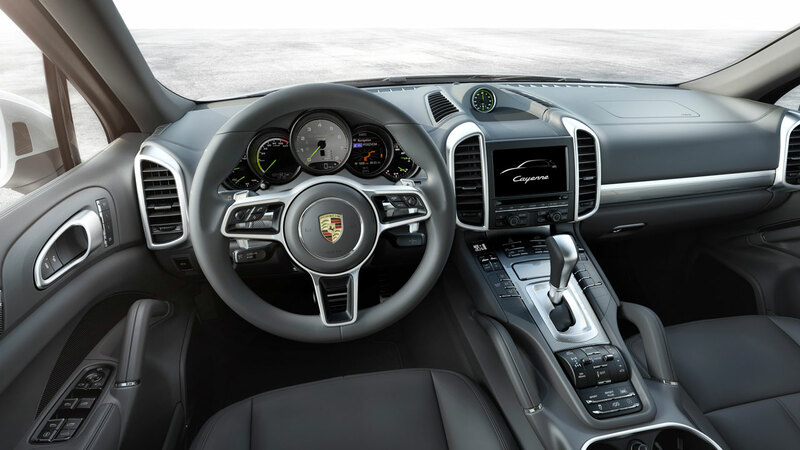 With its standard eight-speed Tiptronic S transmission, the Cayenne S accelerates from zero to 100 km/h in just 5.5 seconds (5.4 seconds with the optional Sport Chrono package) – 0.4 seconds faster than the previous Cayenne S. The vehicle's top speed is now 259 km/h (gain of 1 km/h). 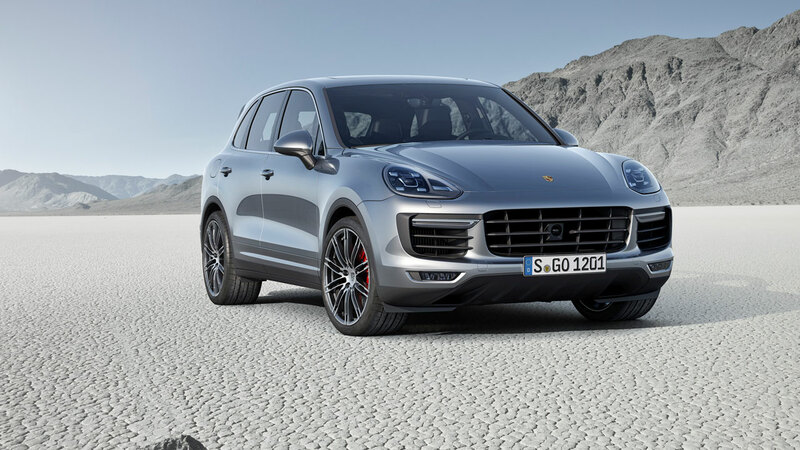 The Cayenne Turbo is characterized by a high level of performance readiness, uninterrupted forward thrust and an ability to handle any driving situation. 4.8-litre engine displacement, eight-cylinders and biturbo boost result in engine power of 520 hp (382 kW) at 6,000 rpm, its torque is 750 Newton meters from 2,250 to 4,000 rpm. This lets the Cayenne Turbo accelerate from zero to 100 km/h in just 4.5 seconds (4.4 seconds with the optional Sport Chrono package). Its top speed is 279 km/h. Fuel consumption is between 8.9 and 8.7 km/l, which corresponds to CO2 emissions of 261-267 g/km. 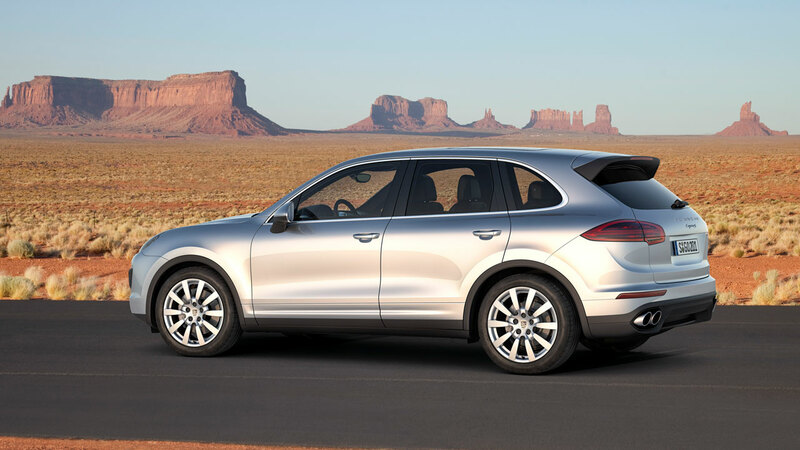 The diesel version of the Cayenne combines sportiness with even better fuel efficiency. The three-liter V6 engine in the Cayenne Diesel produces 245 hp (180 kW) and has a fuel consumption of 13 km/l, with CO2 emissions of 173-179 g/km. In interplay with its torque of 550 Newton meters, from 1,750 to 2,750 rpm, the car can accelerate from zero to 100 km/h in 7.6 seconds (7.5 seconds with the optional Sport Chrono package), and its top speed is 218 km/h. Chassis tuning of the new Cayenne was optimized for even greater comfort, naturally without compromising its dynamic pace. This makes the spread between comfort and sportiness even greater than before – and it validates the Cayenne claim to being the sports car in the SUV segment.